Obliquo Aerial offers a powerful set of tools to work with aerial images, oblique and nadir, and extract their full potential. 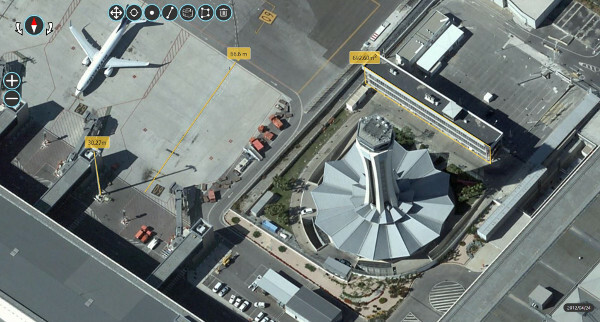 Advanced visualization functionalities for your aerial image projects. All the views in the layout are synchronized by default. When you navigate in one of the views, the rest of them move at the same time selecting the best image from every point of view for the new position. User can easily disable this behavior for every single view or individually. You can visualize several data sets at the same time and filter the images by various criteria: date of capture, orientation or any other metadata associated with them. When the user navigates through any image on the screen and exceeds the limits of any of the images being displayed on the screen, Obliquo dynamically loads a new image with the same orientation as the user’s current navigation point. 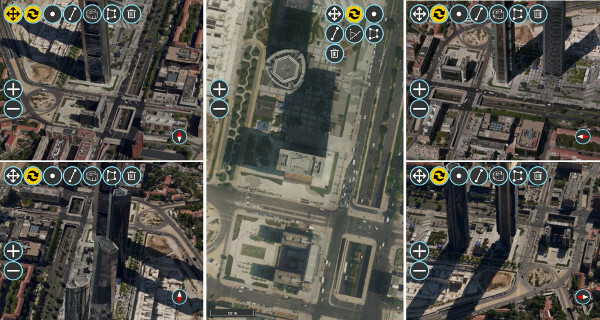 All the tools you need for working with your aerial image projects. 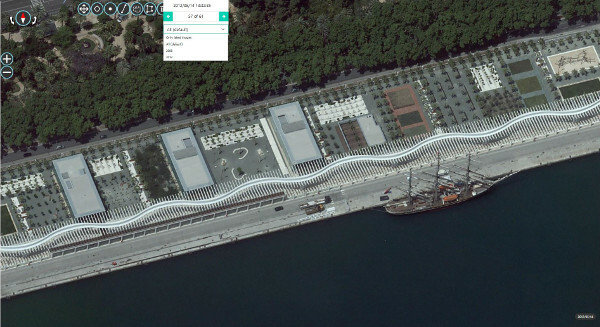 The powerful photogrammetric measuring system lets users measure any element they can see in the images. Two measurement options: DTM-based or by triangulation. Points, lines and areas can be measured over any horizontal, vertical and oblique surface. Powerful drawing and object extraction tools allow you to 3D digitize any element on the images and export the result in a standard GIS or CAD format. 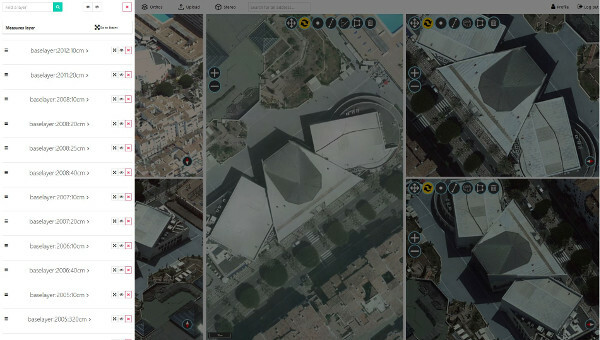 Any GIS layer can be superimposed on the displayed images on the fly. 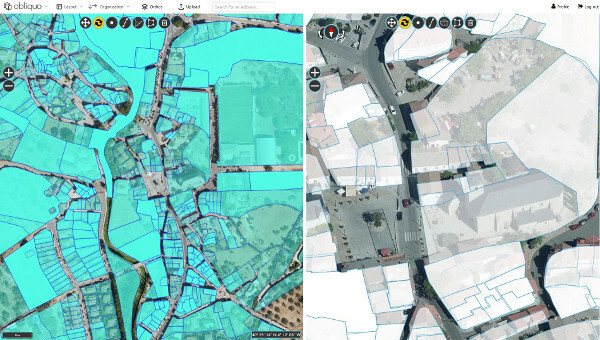 GIS layers can be inserted from the user’s computer, obtained by connecting to OGC services or stored on our platform. 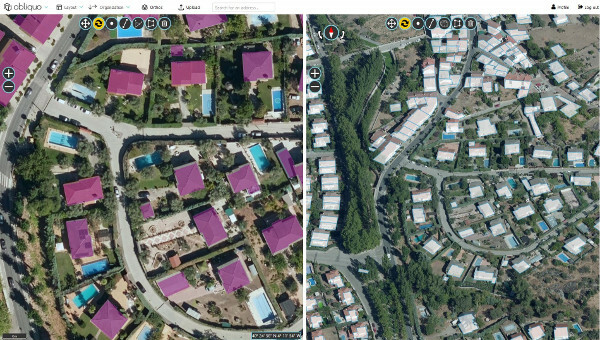 Easily develop your own applications based on aerial images. 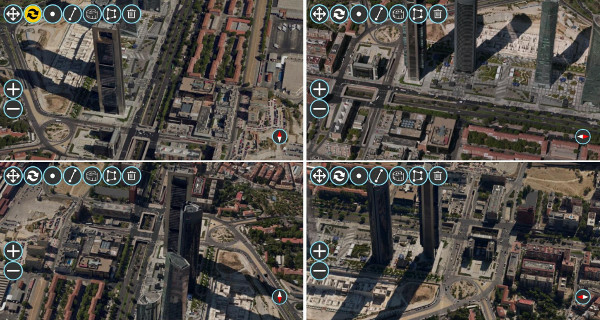 Developers can easily create their own applications based on aerial imagery. 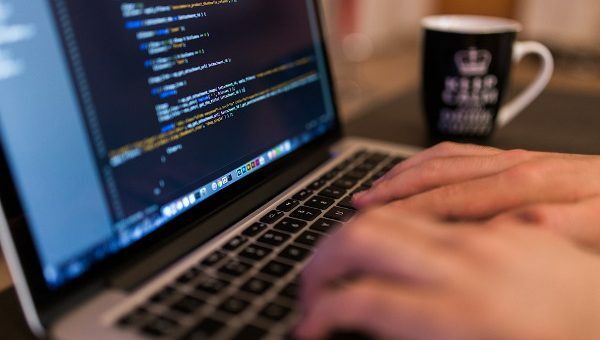 You can get your own customized application without writing a single line of code. Just customize our online webapp with your logo and corporate image. That’s all! You’ll have your own application up and running in a few minutes.